Kilifi residents demonstrate following careless police shootings to their loved ones after DP Ruto gave a shoot to kill order. - Bana Kenya News, Real African Network Tubanane. Home Mombasa Kilifi residents demonstrate following careless police shootings to their loved ones after DP Ruto gave a shoot to kill order. Kilifi residents demonstrate following careless police shootings to their loved ones after DP Ruto gave a shoot to kill order. Chaos broke up in Kilifi after a second young man was shot dead by prison warden at Kibaoni. The police have launched an investigation regarding the killings. 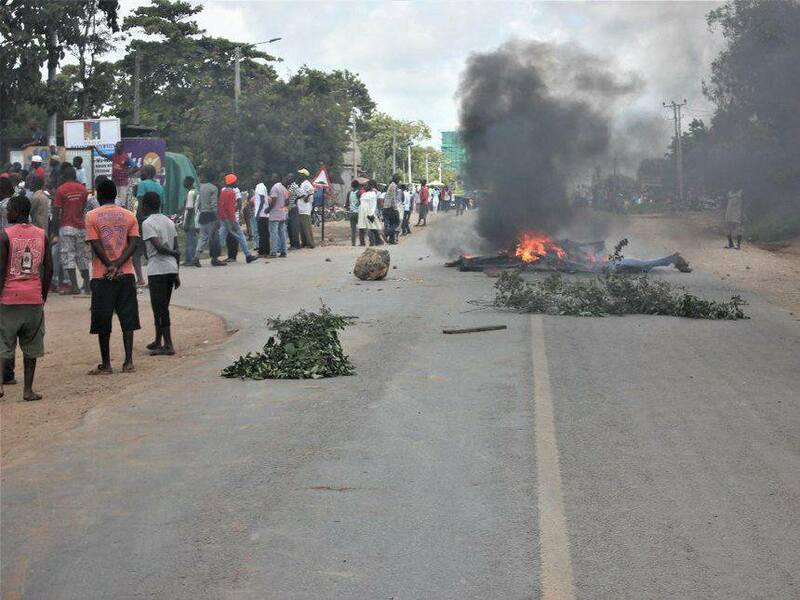 People went on the streets of Kilifi, protesting on their fellow who was killed by the police. It was known that Jamal was killed by mistake as the warden was trying to set his gun. The police have also rubbished the claims that they were sent by the government on the shoot to kill order. "We demand answers from the Jubilee Government. Prison Police In Kilifi shot and Killed Jamal "JOMBA NDOLO" this morning. Orders are been executed to shot and Kill as we face the General elections to scare away any citizens power movement." said ODM county communication manager. Kilifi residents have alleged the government is trying to kill ODM supporters mysteriously after the DP gave the shoot and kill order. The people have vowed to support ODM despite the killings. They urged the government to intervene or else they will miss even a single vote.